Sometimes you need to bend your way into a application. Great Felo handle, works as it should. Excellent quality and tool. I am converted to bit drivers rather than individual screwdrivers. Felo is a quality product, made in Germany. Will favor Felo and KC Tool for future purchases. 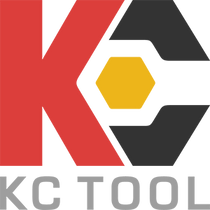 I looked all over for these, and found my best source to be KC Tools. Amazing product that works exactly as expected. Wiha (Heyco) 60365 1/2" Socket Converter to 3/4"